Perth Property Improver assist you, the home owner, to make the most of the space available to suit your lifestyle. We can design low maintenance, modern, user friendly, outdoor makeover options. The climate in Perth is fantastic all year round, make the most of the outdoor space from court yards, front yards, side access ways, pool areas, pergola’s, alfresco areas, outdoor BBQ & kitchen areas with our paving services. 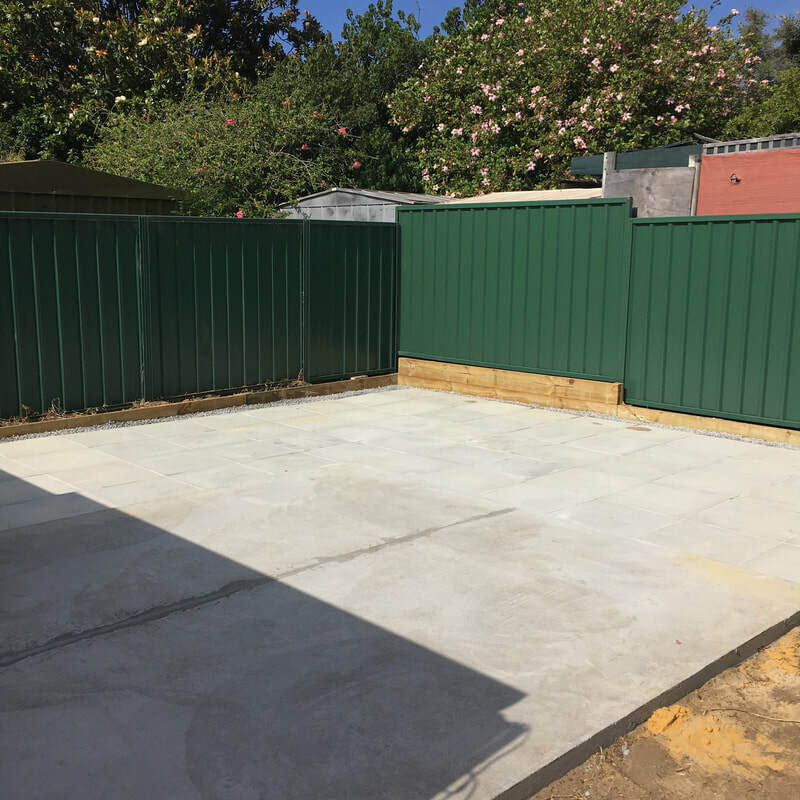 We are able to cover all aspects of paving including, retaining walls, reticulation, drainage, soak-wells, landscaping & any other issues that may arise. There are a number of materials which can be used to achieve a great long lasting result. Let us obtain a competitive price on all products from the suppliers on your behalf. We don’t exclusively use specific suppliers, always looking for the best pricing position for clients. We provide quality concrete slabs for sheds or pergolas. This is a the courtyard of a villa transformed in a week. The home owner had saved the original bricks from the fireplace to pave the back area. The owner wanted access to the back door & to clear the garden beds from the side of the home. Old limestone blocks were used to blend the existing retaining wall in with the new. Grass just wouldn't grow in this shaded spot. We extended the tiled verandah & retained the plants. We are more than happy to recommend James Officer of Perth Property Improver. 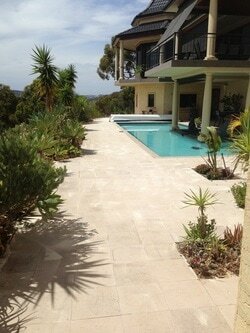 He has recently completed a major paving surround to our pool area which we were very pleased with. James is a professional tradesman who delivers on his promise.We have now asked him to pave front of our house and do some tiling inside. Have just had paving done by James. He has done a great job and very reliable.